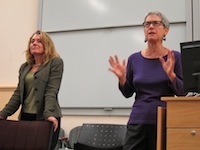 Lori Wallach & Jane Kelsey (Photo: John Miller)On December 3rd Lori Wallach and Jane Kelsey delivered presentations on the Trans-Pacific Partnership Agreement (TPPA) to a large audience in Auckland. 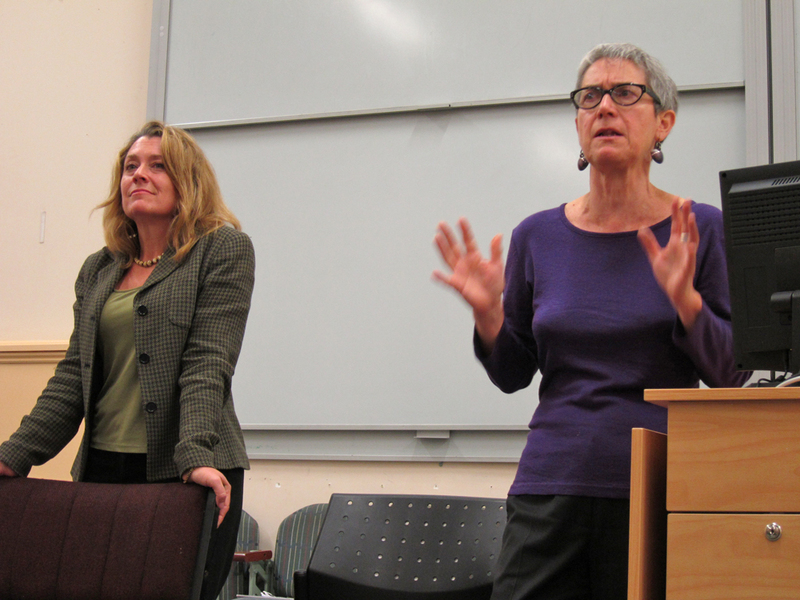 They identified TPPA as one the biggest political issues facing New Zealand, Jane focusing on the NZ implications of the agreement and Lori on the implications of US participation. While many specific concerns were raised, the overall picture was one of what amounts to structural and even fundamental constitutional reform being imposed on NZ without any democratic input. Clearly, the agreement affects far more than trade, potentially constraining the social and economic policy options of future NZ governments. Although exit provisions may exist, associated costs mean they are unlikely to ever be triggered. Above all, the nature and extent of these issues has been difficult for observers to assess because of the secrecy and lack of democratic accountability inherent to the negotiating process. Seemingly, only those with the most to gain have been officially privy to the details. You can download fact sheets on the TPPA's impact on medicines, environment, finance, GM, investment and tobacco & alcohol. There also Youtube videos of the these speakers on the same topic available here for Jane and here for Lori.